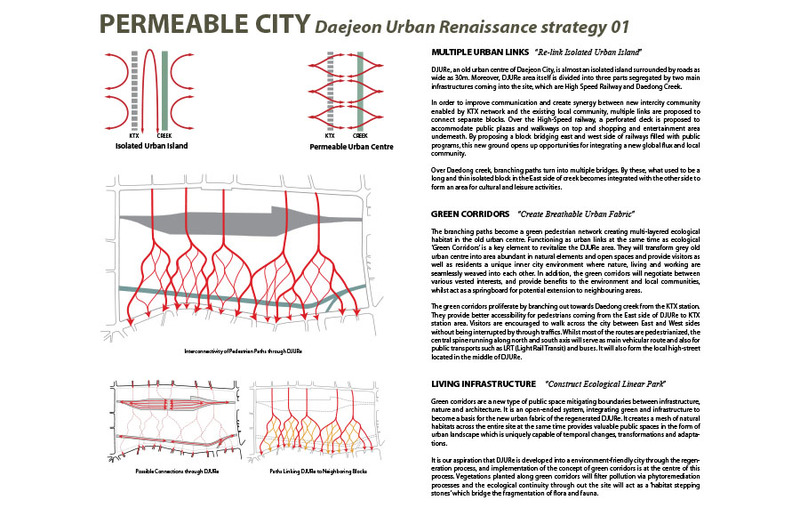 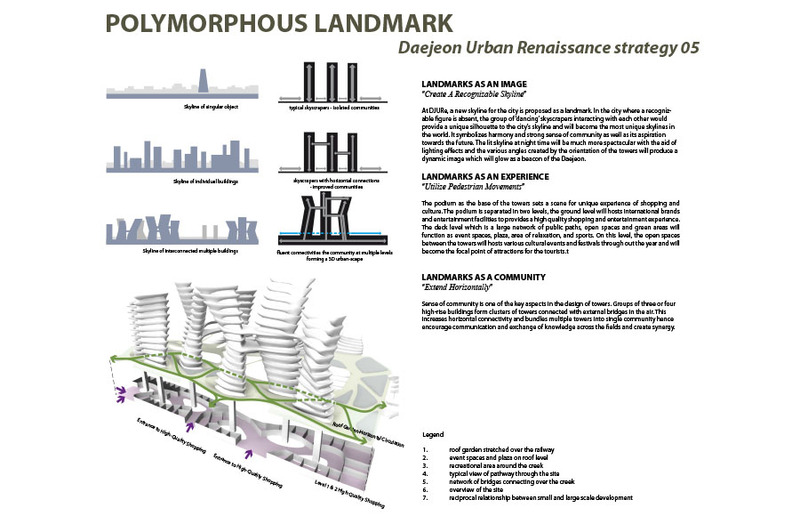 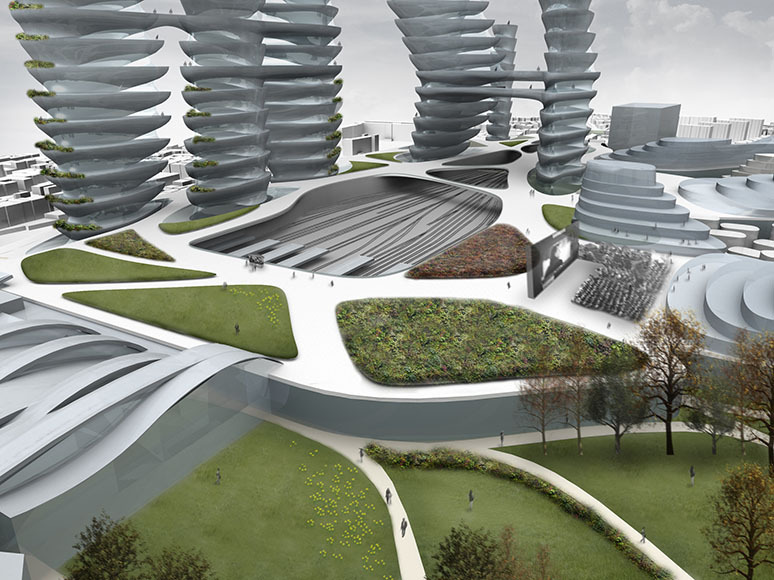 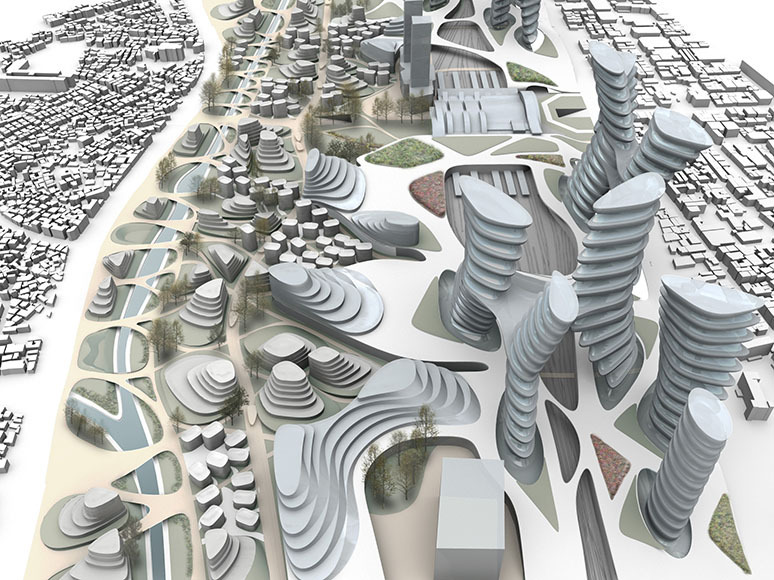 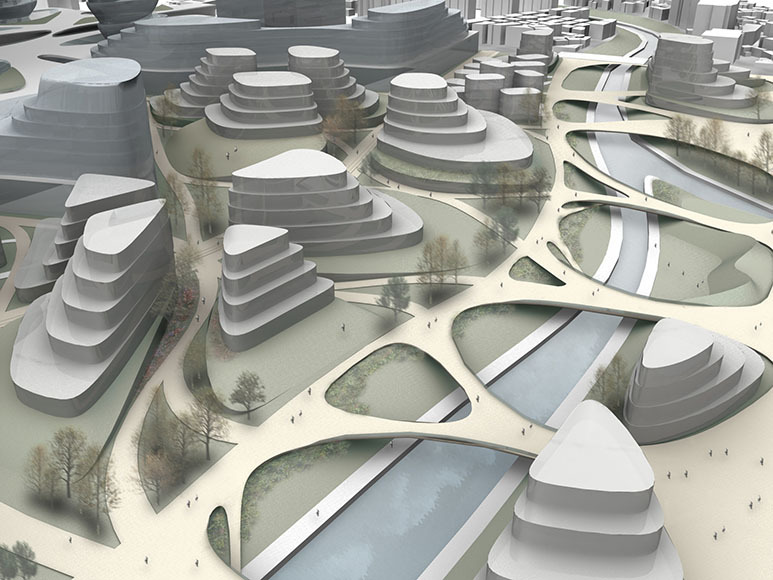 The DJURe is an visionary masterplan for regeneration of the declined old centre of the city. 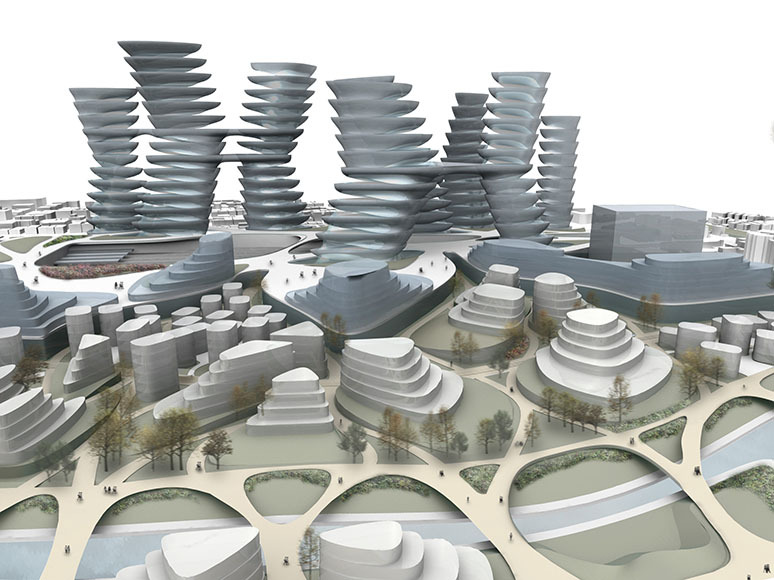 The regeneration plan involves newly propsed highspeed railway station. 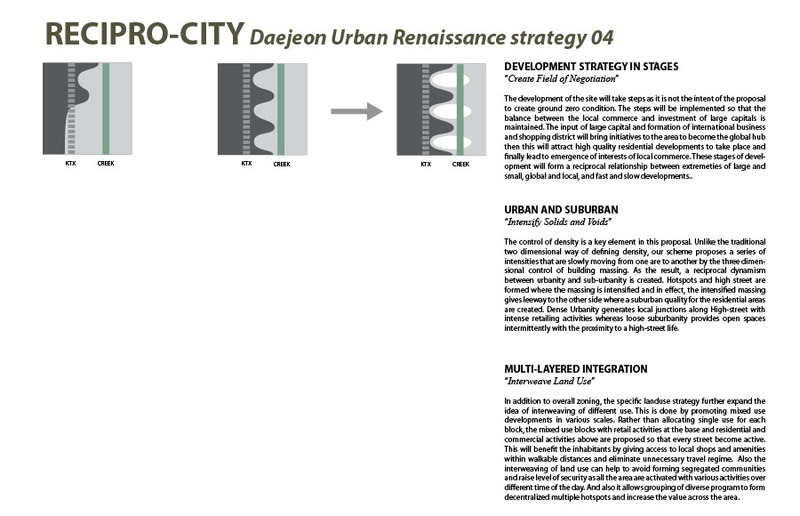 With this benefit of the infrastructure offered, the scheme aims to create a co-evolutionaly conditions where both developments led by global economy and local economy flourish together. 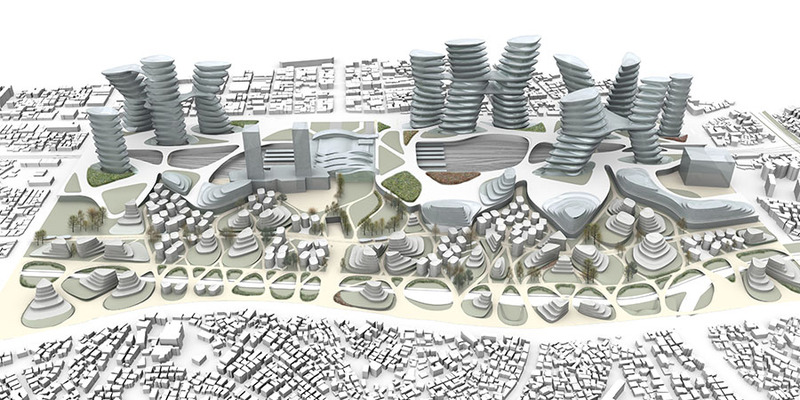 A zone of international business and commercial area is proposed over the railway lines bridging the neighboring town with the segregated zone of declined area. 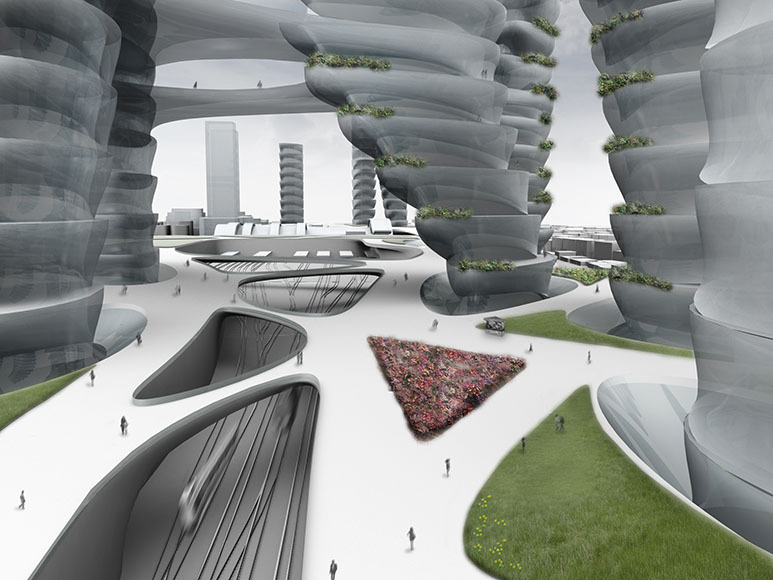 This area is also designed to become the new landmark of the city by offering unique skyline of interconnected towers. 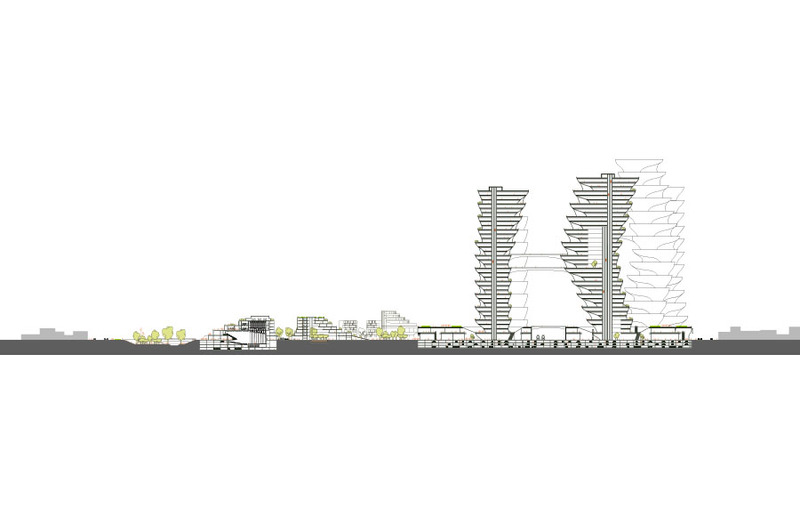 Behind these towers will be areas of local economy which will add locality and authenticity to the entire development. 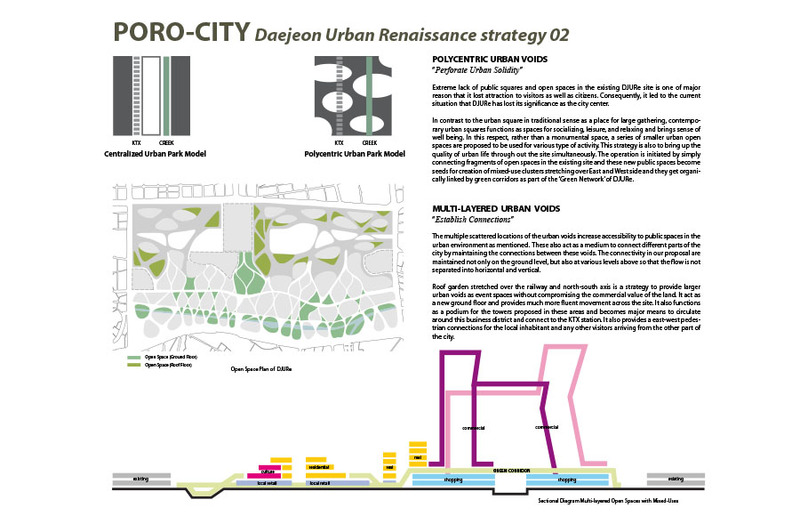 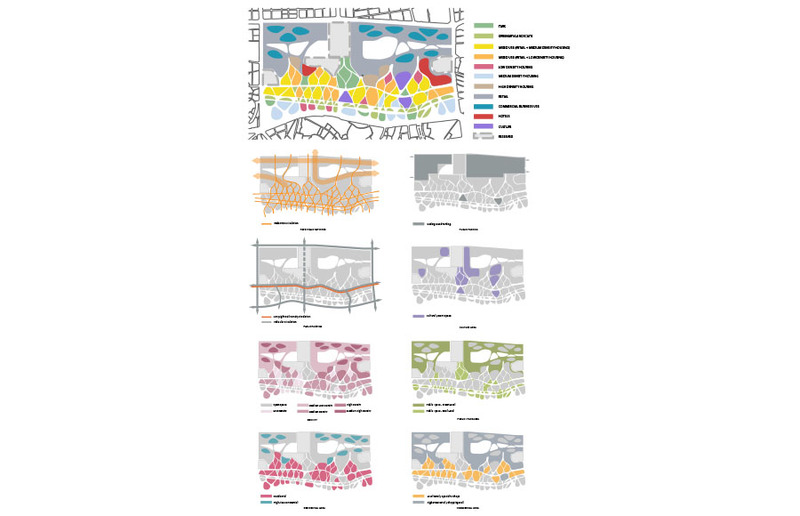 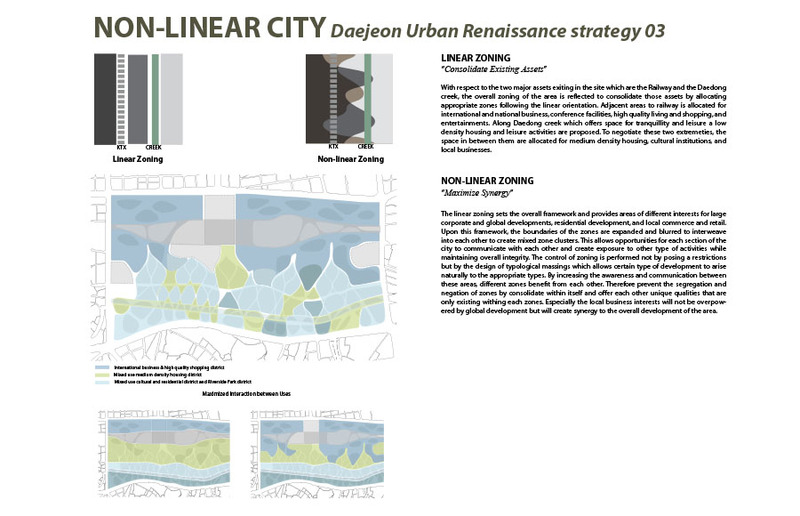 The entire area is designed also as a park with endless meandering pedestrian pathways and green areas with occasional open spaces to function as breather within the densely packed urban environment.